Various media reports and editorials have described the controversies before, during, and after the Holy and Great Council of the Orthodox Church, recently held during Pentecost on the island of Crete. Some have concluded that the Council’s difficulties were the result of geopolitics, and can therefore be explained away as little more than an ecclesial version of the larger political and cultural battle taking place between Russia and the West. Others have concluded that the disagreements revealed disparate visions between those wishing to engage the broader world and those more interested in internal disputes over church administration. Agreement “with the sound words of our Lord Jesus Christ and the teaching that is in accordance with godliness” is of paramount significance to any Christian (1 Timothy 6:3). What, then, should we do when theological disagreements end up leading to estrangement, schism, or heresy? Obviously, we have to be willing, as 2 John indicates, to kick someone out of the house over fundamental matters of apostolic faith. But where and in what ways do we draw the line? How do we, as Orthodox believers today, relate to the long-standing confessional divisions that have persisted for centuries in the Christian world? Finally, considering the answers to these questions, how and why do we receive into the Church, for example, a Roman Catholic who wishes to become Orthodox? The answers to these questions influence the way in which we go about ecumenical dialogue on a formal or personal level – and our conclusions are not of narrow significance, affecting many people’s family relations, friendships, and daily life. In an ideal world, the Holy and Great Council would have resolved these questions once and for all. That it didn’t do so in the real world should come as no surprise. To understand why, and to understand the controversy that took place during the Council itself, a little context is required. In situations not so dissimilar from our own, Church Fathers in all eras of history have developed theological and pastoral frameworks for interacting with the long-ingrained schisms and heresies of their own context. Different times and places produced differences in nuance, and new challenges have called for new explanations; but, in general, there have been two rather distinct “schools of thought” across the ages, neither of which has found complete acceptance in the Orthodox Church. On the one hand, there have been “purists.” In antiquity, the most famous and influential was St. Cyprian of Carthage; and, in more recent times, Patriarch Cyril V of Constantinople during the mid 18th century. According to this line of thinking, if one recognizes that there is no salvation outside of the Church, one can’t help but conclude that there is no grace and there are no sacraments outside of the strict canonical boundaries of the Orthodox Church. Once cut off from Orthodoxy, schismatic and heretical groups wither and die spiritually, to the point that their adherents are no longer really “Christians,” but, in reality, like unto heathens. Thus, our relations with such groups should be limited quite severely, consisting mainly in (1) re-affirming the anathemas and arguments that our Fathers have voiced against these or similar groups in times past and present, (2) calling them to repentance and abjurement of their heresies, and (3) should they respond to our clear presentation of the truth, receiving them into the Church through baptism, just as any heathen who undergoes Christian initiation. Further explanation or a series of illustrative quotes seems unnecessary, simply because this view has been represented very well on the Internet and in popular books, and its logical clarity gives it the advantage of quick comprehension. On the other hand, there have been “realists”: St. Basil the Great is an especially salient example in antiquity; and the fathers at the Pan-Orthodox Council of Moscow in 1667 represent a common synodical position voiced in multiple instances over the last 500 years. According to this line of thought, there are degrees of separation from the Church. Some heretical doctrines depart so drastically from apostolic truth that those who confess them actually belong to another faith altogether (e.g. the docetists referred to in 2 John); while other heterodox teachings remain closer to the truth of God’s self-revelation in Jesus Christ. Thus, it is possible for Christians who hold certain errant or heretical views and who are outside of the canonical boundaries of the Church to experience, as God so wills, vestiges of the grace and truth which exist only in the Orthodox Church. The Orthodox Church, through the mouths of the holy fathers, affirms that salvation can be attained only in the Church of Christ. At the same time, however, communities which have fallen away from orthodoxy have never been viewed as fully deprived of the grace of God. Any break from communion with the Church inevitably leads to an erosion of her grace-filled life, but not always to its complete loss in these separated communities. This is why the Orthodox Church does not receive those coming to her from non-orthodox communities only through the sacrament of baptism. In spite of the rupture of unity, there remains a certain incomplete fellowship which serves as the pledge of a return to unity in the Church, to catholic fullness and oneness. The ecclesial status of those who have separated themselves from the Church does not lend itself to simple definition. In a divided Christendom, there are still certain characteristics which make it one: the word of God, faith in Christ as God and saviour come in the flesh (1 Jn. 1:1-2; 4, 2, 9), and sincere devotion. With these shared characteristics in mind, we have far less reason for isolation and far more reason to interact, dialogue, and seek reconciliation in the fullness of the truth. Finally, as the “Basic Principles” text make clear, it is precisely because there is not a complete loss of grace in separated communities that we can receive certain heterodox Christians into the Church by means of chrismation or simple renunciation of former heresies. Their previous Christian initiation reflected enough of apostolic truth and order that it bears the mark of reality. Just to be clear: the point of view described above is not peculiar to Russia. Similar positions have been held in a variety of contexts across Church history. A couple of examples are representative. Moreover, we reject as something abominable and pernicious the notion that when faith is weak the integrity of the Mystery is impaired. For heretics who abjure their heresy and join the Catholic Church are received by the Church: even though they held a deficient faith, they received a perfect Baptism; wherefore, when they afterwards become possessed of the perfect faith, they are not again baptized (καίτοι ἐλλιπῆ ἐσχηκότες τὴν πίστιν τέλειον ἔλαβον τὸ βάπτισμα· ὅθεν τελείαν ὕστερον τὴν πίστιν κεκτημένοι οὐκ ἀναβαπτίζονται). But here the question is posed: what are the other Christian confessions that do not confess such an intimate and effective union of the integral Christ in them? We hold that they are incomplete churches, some closer to fullness, others farther away… We hold that the non-Orthodox confessions are separate groups that have been formed in a certain relationship with the full Church and exist in certain relationship with it, but do not share in the full light and power of Christ the sun. Thus in a way the Church includes all the confessions divided from it, because they could not fully depart from the Tradition present [in the Church]. But the Church in the full sense of the word is only the Orthodox Church. To my knowledge, no one has ever classified these two tendencies in Orthodox thought as schools or given them the name “purist” and “realist.” I do so merely as an exercise in helping to identify a long-standing difference in how various Orthodox authorities approach the issues implicit in the debate over the Council of Crete’s “Relations” document. The “purist” school’s strength is its concern for clear proclamation of the truth. Yet in developing its argument along strictly logical lines, it ends up privileging pure theory over the lived reality of the Church. Such has been the case since its inception: St. Cyprian freely admitted that his approach was a departure from the earlier traditions and practices of the Church. Instead of seeking to find a theological explanation for the Church’s actual experience in history, he developed a logically coherent theological system that flowed from its initial (true) axiom. Something analogous happened in the famous 18th century “purist” authorities, such as St. Nikodemos the Athonite — but that’s a very long topic for another day! The strength of the “realist” school, on the other hand, is that it attempts to make theological sense of what the Church really does, not just in theory but in practice, throughout Her entire historical experience. Its concern is to explain the paradox of reality: that the Orthodox Church is the one and only Church of Christ, and yet if one looks at the world as it really is, one finds, in the words of Moscow’s “Basic Principles” document, points of unity in a divided Christendom. A deeper analysis of other strengths and weaknesses in these two schools will have to wait, as my aim in this blog post is simply to provide some sense that two ways of thinking about these issues have existed within the Church for centuries, and that the unresolved nature of these questions underlie the debate we witnessed during the conciliar proceedings on Crete. The existence of two “schools” in Orthodox thinking on these issues is less a sign of division and more a sign of a set of open questions. In the end, then, it was impossible for a comprehensive discussion to take place. Even so, the Council has raised the issue and engendered the beginnings of a public debate. Future councils may therefore be able to address the topic again in a more satisfactory fashion. A few years ago, Metropolitan Kallistos Ware wrote that the major issue of 20th century Orthodox theology had been ecclesiology, particularly the limits of the Church and Her relationship to heterodox confessions. In the 21st century, however, His Eminence predicted that new issues, such as anthropology and bioethics, would become far more pressing, as debates over ecclesiology recede from the forefront of controversy. At least so far, the Council of Crete indicates otherwise. In my very limited understanding, I see these two sides as being complimentary in the long run. The “purists” can act as an anchor of the truth and tradition of the Church to keep the “realists” from drifting too far in the names of “compassion” and “pastoral care.” I personally lean toward the “purist” side, but I also don’t like to see Canon Law and the Fathers treated like a New Testament Mosaic Law. Along the same lines of the Russian councils you quoted, I’ve noticed during a brief study of the canons of the Church that there have been different ways of receiving converts depending on what type of group they come from. Some were simply received with a confession of faith, others with the whole “package.” If I remember right from my study of the canons, even the Arians were not forced to be re-baptized. They had to make a confession of the faith, renounce their former heresy, and maybe were chrismated. For this reason, I think we need to be a bit more careful with our vocabulary than this article has been (though it’s a very good article all told). These are not “theological” disputes in the full and proper sense of the term: they do not involve questions about our doctrine and understanding of God. These problems are pastoral and ecclesiological. That means they are very important, but it also means that the question of how the Church is divided from other groups is not itself a Church-dividing issue (if that makes sense). If this were a properly “theological” problem, then the Orthodox Church would be in a full-blown schism over it. Instead, we continue to live with it as we have for centuries. My big fear for the Council was that the various factions would lose sight of this fact and cut off communion. If Georgia refuses to call the catholics a “church,” then fine, but there is no grounds for excommunicating those who do (and vice-versa). I cannot express how relieved and happy I am that even with things getting as heated as they did, no major group has yet made that mistake. Also, Jeremiah, you might want to see Michel Stavrou’s article in St Vladimir’s Theological Quarterly 60:1-2, p 205 for an excellent summary of the history of the baptism question. Excellent presentation. This review helped me to see that I am a realist. I don’t believe the author’s intent here was to define two categories for us to hold on to and identify. Forgive me if I am assuming here that was your only takeaway from the article but the comment you posted lends me to believe you have. He explicitly stated it was a thought experiment. The reality is probably all of us fall somewhere along these artificial boundaries in some things, and not the other. For example, as the author describes, we are all “purists” when it comes to the Eucharist — you must be Orthodox. No Exceptions. However, when accepting converts, depending which faith you come, we lean on the “realist” side. The conflict between the “two schools” of thought (“Purists” and “realists”) concerning the validity of non-Orthodox sacraments, the “heresy of ethnocentrism”, and the “heresy of ecumenism” involve dogmatic issues that appear insoluble since any conciliar consensus necessary for resolution is assuredly rendered impossible by the “purists”‘ understanding of Tradition which does not allow for any innovations departing from that Tradition. The present actual divisions among hierarchs and theologians on the issues above raise a serious question that is not being confronted: How pursue Church Unity with others when there are real schisms and heresies within Pan-Orthodoxy? It’s indeed a difficult reality. The purist view can’t be maintained because it fails to articulate the real life of the Church. Pope Gregory IX’s opinion on the invalidity of Greek Orthodox baptism can be used as an example where purist view can’t be accepted and should be rejected. St Cyprian’s novelty on limiting the efficacy of grace in sacraments has foundation in neither Scripture nor Traditions. Had the purist view prevail it’d discourage ecumenical dialogue between the Eastern Orthodox church with the Catholic church, the non Chalcedonian church, and the Assyrian church that have been fostered in the past 50 years. It’s tragic when Ss Cyrpian, Hippolytus, and Photius who died as realists in communion with the Catholic church are used as examples by the purists. The author nail the core issue to ecclesiological in essence. History contains facts that need to be interpreted, it’s never neutral. The Invention of Peter and Orthodox Construction of the West by George Demacopoulos are select few examples where the line between historical facts and historical interpretations sometime blurred and confused. Throughout history the Church approach the issue of ecclesiology with pastoral concern. Beginning from reception of the Gentiles and inclusion from the strict observance of the Mosaic laws, the usage of homoousian language previously condemned at Antioch in 268 for Samosatan heresy into its reception at Nicaea in 325 to combat Arians, the removal of Nicaean anathema clause that conflate hypostasis as ousia at Alexandrian in 365, the Formula of Union in 433 between St Cyril’s miaphysitism and St Theodoret of Cyrrhus’ dyophysitism, to the failed attempts of reconciliation at the Second Constantinople in 553 and Florence in 1439. Adithia, can you restate your position in plain, simple English. You have evidently given it a lot of thought but I lack the background to understand it. There are theological divisions within contemporary Catholicism as well, and this has been true before and after the schism in the West. Yes, there are theological debates on doctrinal issues in Catholicism but they are on issues which have not been resolved by its teaching authority. whether Palamism as defined in the 1351 Council of Constantinople is really dogma. I mention the latter in so far as the Encyclical Letter of the Orthodox Council held in Crete reaffirmed that Synod’s teaching on “uncreated divine energies” as a “truth of faith”. Is it? or is it a matter open to theological debate among Orthodox? Not to prolong this, but readers may understand why non-Orthodox see grave doctrinal disunity among the 14 autocephalous Orthodox Churches. Unfortunately, from an Orthodox perspective, Catholicism professes much more for the Pope than merely coordinating unity. Purism is hardly ethnocentrism. Is Feenyism, a more extreme form of purism found in your adopted communion, a form of ethnocentrism? Which ethnos? “Purists” and “Realists” have much more in common which each other than with other groups outside the Church. What they disagree about concerns what is outside the canonical boundaries of the Church. And, except for some extremists, they remain in communion which each other. Does this not limit the current state of affairs a bit? Based on some of the comments of certain hierarchs (yes, many taken out of context), there does seem to be a camp that is willing to admit that the Orthodox Church, in its current state of disunion with other Christian confessions, is not the “fullness of the truth,” at least while the disunion persists. Or am I reading too much into the careless personal opinions of a small number of individuals? Hi Nick. Thanks for your comment. I am aware of news reports about two bishops (one EP and one Serbian) that might lead you to infer what you did. In both cases, the reports were demonstrably false. Just to clarify: by false I mean that the news reports attributed things to the bishops in question that they did not say. Nicholas is right. There is another group at work. This group is a minority, nevertheless, it’s a powerful one. Surely, all the statements (ambiguous and otherwise) and joint prayers over the years would force one to conclude that this was the case more than any recent news reports. ‘…[T]here is a close connection between Church, Orthodoxy and Eucharist, as we see in Saint Irenaeus, Bishop of Lyons. There is no Church without Orthodoxy and the Eucharist; nor is there Orthodoxy without the Church and the Eucharist; just as there is no Eucharist outside the Church and Orthodoxy. Then, the Divine Eucharist cannot be considered Orthodox outside the canonical structure of the Church and the necessary requirements for participation in it. …Besides, apart from the Divine Eucharist, basic centers for the life of the Church are Scripture, dogma and prayer, which the Divine Eucharist presupposes. There is a very profound association between the lex credendi and the lex orandi. Therefore, heretics and schismatics do not possess true sacraments. But the West since the time of Augustine has normally adopted a somewhat different position. Augustine accepted Cyprian’s minor premise but denied his major. Unlike Saint Cyprian, he distinguished between validity and regularity: a sacrament performed by heretics or schismatics, while irregular and illegitimate, is nonetheless technically valid provided that certain specified conditions are fulfilled. Whereas Cyprian denied heretics both ius and potestas to perform sacraments, Augustine denied them the first, but not necessarily the second. A number of Orthodox theologians, particularly in Russia during the past three centuries, have inclined towards the Augustinian view; but in general the position of the Orthodox Church has been Cyprianic and non-Augustinian. The Cyprianic view was taken for granted by most Greek writers of the 18th century… and the Cyprianic view is still followed by the standard Greek manuals of theology in use today. Fr. G. Dragas, a purist (? ), holds that if our Mysteries are one with Roman Catholics (or any other group) then our ecclesiology must necessarily be the same as well, since sacramentology goes hand in hand with ecclesiology. But realism surely dictates that our ecclesiologies are dissimilar. Thanks for the very long comment, Maximus. You raise some valuable points. It’s impossible to respond to everything, but I would say this: you’re on the right track in so far as you are searching, digging deep, and wrestling with the real “ecclesiological paradox of heresy and schism,” as Fr. Georges Dragas called it in one of your quotes. To awaken people to that paradox is one of the points of my heuristic explanation in the original article. It’s really not important if there are more than two “schools” or the names of the “schools” I chose aren’t good or whatever limitation one sees in the “dialectic” established by the original article (as others have complained here and on Facebook). What’s more important is to break out of the complacency of assuming that pat answers and recent apologetics have really addressed the depth of these issues, and to return much more seriously to the patristic sources. I would suggest, therefore, that you won’t really make much further sense of the question if you read the typical secondary stuff: Alfeyev, Dragas, Metallinos, et al. You’ve got to get back to the primary sources, including the Church Fathers and the canonical tradition before some of the later Byzantine commentaries. Just one example: St. Cyprian of Carthage expressed something like the syllogism you outlined in On the Unity of the Church, but he and his synod modified their position over time during their controversy with Rome. St. Cyprian’s ultimate position includes (1) a recognition that his theory is not in accordance with earlier tradition or what other venerable local churches do, and (2) therefore it’s fine if other local churches don’t follow his approach. Both facts are very relevant to making sense of the patristic and canonical tradition, but are completely overlooked by some later commentators and vitiate the entire apologetic thrust of more recent ones. Can you provide a quick source reference (preferably in English translation) for your final 2 points about St. Cyprian? – I would like to follow up on that. Regarding Christopher’s question about St. Cyprian: see his letters for the various ways his final position evolved. I only mentioned two. Probably the most relevant letters are 64, 70, 71, 73, and 75; and the best place to read those in English would be vol. 4 of G.W. Clarke’s translation of all of St. Cyprian’s letters. Clarke also provides helpful context about the North African traditions and debates that influenced St. Cyprian’s conclusions. I actually found your “two schools” dialectic to be useful for the purposes of writing a concise blog article and I had no issue with that. However, I would contend that the recent debate in the Church is not between the purists and the realists as you presented it in your article, it’s between them and the the third group. This cannot be overlooked if one really wants to address the issue of the reception of the heterodox. Also, I definitely prefer primary sources but in my experience most people with adamant opinions on this issue do not even care to read the Holy Fathers. Most people are more familiar with the writers I employed, and I thought that the convergence in the opinions of such esteemed scholars proved my point. I’m with you though, we need to go the sources: the Holy Fathers. I take it that you consider St. Cyprian to be an innovator of sorts, and his purist theory to be a novelty. But even the Roman Catholic encyclopedia affirms that +Agrippinus and St. Cyprian were not going against an earlier tradition since it was a new debate : “…it was not the Roman usage. The point, however, had not yet been raised and definitely settled.” (see Agrippinus) Met Kallistos (and also the Roman encyclopedia) holds that Tertullian held the same teaching around 198-200 a.d.; that’s almost twenty years before + Agrippinus and the Council of Carthage decided to rebaptize all the heterodox coming into the Church. Therefore, Tertullian was teaching this in the West fifty years before St Cyprian and he was still in the Catholic Church at that time. For not he who simply says, ‘O Lord,’ gives Baptism; but he who with the Name has also the right Faith. On this account therefore our Saviour also did not simply command to baptize, but first says, ‘Teach;’ then thus: ‘Baptize into the Name of Father, and Son, and Holy Ghost;’ that the right faith might follow upon learning, and together with faith might come the consecration of Baptism. The quotes demonstrate that realism was an early tradition throughout the East and the West. St Basil the Great said: “The old authorities decided to accept that baptism which in nowise errs from the faith.” (Epistle 188); consequently, I think we should attempt to find the earliest evidence for Rome’s tradition instead of charging St Cyprian with novelty. The East definitely made use of multiple pastoral practices when it felt the need to do so. Is St Cyprian any different from St. Polycarp when he recognized that Rome had a different date for Pascha? You seem to hold it against St Cyprian because he held that each Church could follow their own Tradition. This is not a mark against his view, puritanical types aren’t usually willing to allow for dissent. It was actually Pope St Stephen that initially demanded universal obedience to his realist view until he discovered the Eastern practice. 1) In 1971, ROCOR issued an ukase stating that all converts would henceforth be received via baptism. However, it did not order converts that had previously been received via chrismation (such as Fr. Seraphim Rose) to be baptized. 3) ROCOR venerates the Royal Martyrs, who include the Empress-Martyr Alexandra and Nun-Martyr Elizabeth, who were both converts from Lutheranism received via chrismation. 4) Even regarding the salvation of non-Orthodox Christians, Metropolitan Philaret of blessed memory believed (at least when he was still an Archimandrite) that non-Orthodox Christians could not be termed “renegades or heretics” since, being raised Catholic, Protestant, etc. they did not consciously reject Orthodoxy and thus God “ undoubtedly is leading them also towards salvation In His own way.” This is the same Metropolitan Philaret who led the above Council of Bishops to issue the 1971 ukase. Thus, ROCOR can’t be characterized as a “purist” group. As for the belief of presence of grace in the non-Orthodox, that does not necessarily mean the inherent validity/efficacy of non-Orthodox sacramental rites. For example, the God-fearing Cornelius in the Book of Acts had Holy Spirit, and he wasn’t even baptized yet! 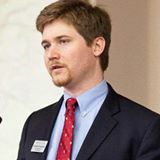 The point of my article is merely to provide a heuristic, or a necessarily imperfect and introductory means to reflect on the diversity of viewpoints that exist on these questions, both today and in many eras of Church history, and to explain to an average reader why, exactly, there were differing points of view at Crete on the question of how the Orthodox Church should relate to the Christian world. Many people have their own unique approach, no doubt, but there are clearly some trends. Your point about St. Basil and also kind language allows me to clarify something about why I classified things as I did. It is in this context that he famously accepted semi-Arian clergy and those who refused to confess the divinity of the Holy Spirit, provided they professed the Nicene Creed (before its additions about the divinity of the Spirit at the Second Ecumenical Council). The rigorist monks of his time lambasted him for doing so, but St. Athanasius the Great wrote a letter or two defending him. So, the question becomes: are there perhaps degrees of heresy in St. Basil’s perspective, and does this influence how he goes about dealing with certain heretics? Much more needs to be said, but perhaps this gives you some idea of the way in which St. Basil approached these issues. As for the other point: don’t mistake patristic rhetoric against heresy as the exclusive property of a “purist” or kind words to the heterodox as the exclusive property of “realists.” Manifestly not. “Purists” are not extremists, and “realists” are not doctrinal minimalists. Vladimir Lossky, for example, is a convinced realist, and yet he obviously criticizes Western theology very severely, as does Fr. Staniloae. The same could be said for the Pan-Orthodox Synods and local synods mentioned in the original article, and others besides. Perhaps you assumed that I meant to imply that the “purist” way of thinking is somehow tainted by rancor and mean-spiritedness because I wrote that it receives heretics as “heathens”? If so, please know that I used the term as its used in the canonical tradition, e.g. Canon 7 of the Second Ecumenical Council, and various textbooks of canon law. In particular, I had in mind the popular introductory text in Russia by Archpriest Vladislav Tsypin. Thanks for the excellent article. However, it fails to recognize one reason why the purists became more strident. Over the 50 years that the Church failed to even read the documents, much less approve them, the larger ecumenical movement began to evolve. It became more a World Council of Religions than the World Council of Churches. The solvent of minimalism was believed to be the path to unity. Many if not most of the Western Confessions partipated in this relativist heresy. (At some WCC events, anamist ceremonies were performed where even catholic bishops participated. The expressed rationale – we all worship one God, and this is just their way) Because of this heretical trend, groups like R.O.C.O.R. began to require baptism for converts from other confessions because this ecumenism had robbed them of grace. Eventually, some Orthodox cofessions left the WCC. To them, the idea that we were a part of the WCC to witness had failed. Of course, this is bad ecumenism, but it was dominant at the time and was clearly opposed to the ecclesiastical understanding of the Church. Has this ecumenical situation changed? It is too complex to answer here. But if it has not, then unity with western cofessions is problematic and calling them churches is theologically dangerous. Crete did not address this. A good point. Thanks. Perhaps we could add this to the weaknesses of the “realist” school — I have enumerated others below: a tendency to beg the question, and a failure to engage “purist” thinkers over the last 50 years. I would put your concern this way: what is a specifically *Orthodox* approach to ecumenical dialogue? There have not been many “realist” thinkers recently who have spent much time on the question of method. Fr. Georges Florovsky certainly did, and he proposed two principles: (1) “ecumenism in time,” i.e. we focus our discussions on shared authorities in the past, especially the Holy Fathers and the Seven Ecumenical Councils, and attempt to shift the entire discussion to “a common universe of discourse;” and (2) “molecular ecumenism,” where we do the above on a much smaller, more personal, more local level, as more progress is likely to happen there than on a grand international level. Of course, there’s more to both principles, but that’s the thumbnail. What would Seraphim Danckaert make of the position espoused in the document below? It’s one of the many examples of “purist” inspired apologetics in recent decades. As I mentioned below, one of the “realist” schools biggest problems in the last 50 years has been its tendency to beg the question and its failure to engage popular “purist” thinkers. Until that stops, there can never be a comprehensive theological response to the question of Orthodoxy’s relationship to the Christian world. My wife and I were received into Orthodoxy from Catholicism by confession and recitation of the symbol only. It was decided that we would be recieved in this way based upon knowledge of ourselves personally and the advice to the priest who received us from Met. Kallistos. There are people who were not happy that we were neither re-baptised or chrismated. This still causes us a little pain from time-to-time, but there is no way that we would re-approach our hierarchs and request chrismation or baptism as that in itself would be a questioning and/or repudiation of their authority and competence. The faith needs to be safeguarded, and there is no doubt about that, but it is spirit and not letter alone: the ‘word’ is flesh and it dwells among us. We cannot worship the signposts rather than the One they are pointing us to. The letter is means and God is our end; we need both, but we must guard against the idolatry of worshipping religion. Do not tear down the ancient markers, but in caring for them and preserving them, do not forget about God and prevent others from reaching their Father. Thanks for your comment, Athanasios. Rest assured that you are fully embraced by the Church of Christ. Your story raises the fact that there is another dimension to this issue: the spiritual and pastoral. Because of the fact that the “realist” school has been so weak in the last 50 years, and, at the same time, because of the fact that the “purist” school has had several gifted and prolific public apologists, we are living in a time when our public discourse and even our theological education is very one-sided and unable to explain the full reality of our theological and canonical tradition. As a result, real spiritual harm is befalling many well-intentioned lay people and even clergy. I personally know more than 10 people who have become Old Calendrists because of reading certain modern “purist” apologists and then really thinking through the implications of what they read. I also know people who feel in their hearts that their bishop is a heretic (and yet still somehow reconcile themselves to the Church — at least for now); and clergy who secretly baptize converts against the instructions of their bishop or synod; or even re-baptize converts who were received years ago (again in secret). This happens in multiple jurisdictions. As a result, many people are doubting their salvation, unsure if they are doing the right thing, disobeying their bishops, casting aspersions on their priests, taking hard-line stands with their families, and even leaving the Church for schisms. So, there are very serious pastoral consequences. Thank you, seraphim. God bless you. As it stands in the OCA, if a person was baptized in the name of the Father, Son, and Holy Spirit, they do not have to be re-baptized, but if they had never been baptized or were from a cult they would need the whole “package”. We converted in 2006 from Lutheranism and I believe that I am more of a realist than a purist. I believe that there are people who have a vital and living faith in Jesus Christ who do not have the means of grace necessary to make it to the end of their lives without being separated from Him. When dealing with others who do not share the Orthodox faith, I try to testify to its truths without condemnation, but sometimes I come off sounding like a Purist. My youngest son wants to be know as “A Great Converter” and he has vibrant enthusiasm for the Orthodox faith. We should all be so zealous. The dialectic of “purists” vs. “realists” does not really add to the discussion in my opinion. The terms are false as “the purists” are actually much more complicated, nuanced, and realistic than described and the “realists” are actually much more idealistic than they understand, having (largely unconsciously) appropriated the enlighted/secular understanding of “dialogue” which is imbued with almost magical properties to “fix” the problems of man/church/fill-in-the-blank. Thanks for your comment. Again, the “dialectic” is merely heuristic. As I alluded to in the article, anyone interested in these things has likely had a steady diet of “purist” thinking for many years, so there’s really no need to explicate its nuances. One of the “realist” school’s weaknesses, especially since the 60s, has been its tendency to beg the question and to avoid real engagement with “purist” thinkers. The result is that our public discourse suffers from a very impoverished sense of our own theological and canonical tradition. A little blog post can only do so much, but it’s a first attempt to make average people realize there’s more to these questions than many apologists would have them believe. Well, I suppose it is all perspective. 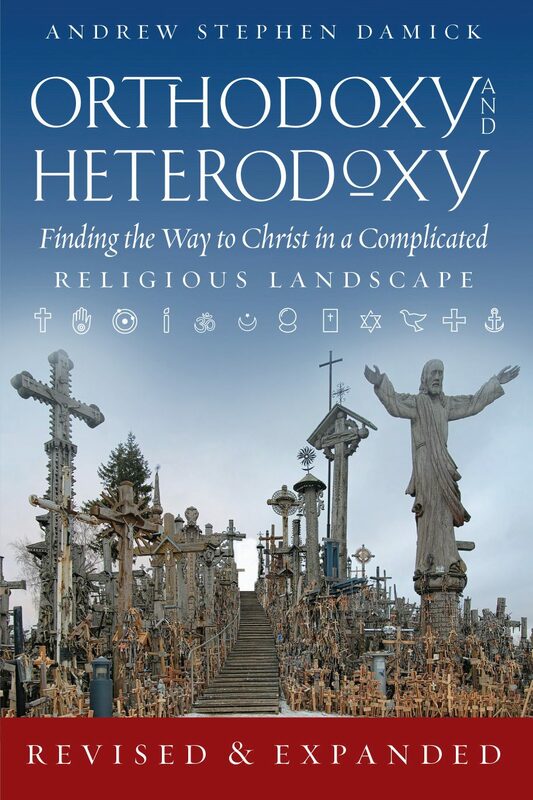 As a layperson in NA Orthodoxy for about 20 years now the only “steady stream” I have seen and heard on the issue of “relations with other churches” is the realist position, mostly allied with one or more kinds of faith in “dialogue” – in other words a largely ecclesiological approach, and a curious repetition of this ecclesiological position on divided Christendom in the face of the manifest failure of this ecumenism for about 100 years now. For whatever reason the deeper divides are always pushed back – often in the name of “theological and canonical tradition” (so I am not sure what you mean here – perhaps you could expand). So neither the realist nor the purist gets to the heart of matter in my opinion, and the “realists” name is just a wee bit ironical in my opinion. Interestingly, as you point out Ware pointing out, the ecclisological approach is being sunseted not so much out of a “realistic” evaluation of its fruits but because of what has and is happening in Christendom itself around anthropology. In other words the “realists”, who are in fact idealists (at least when it comes to the practical side of “relations”), are being overun by facts on the ground. On the other hand the “Relations of the Orthodox Church with the Rest of the Christian World” document mostly (mostly – there are bright spots) reads like it could have been written 100 years ago so the status quo is still very much in the fore ground. Hello again, Christopher. I’ve been at this for as long as you — a bit longer, actually — so looking closer at our two perceptions might be helpful. You seem to be focused on what official church bodies and organizations at the highest level are *doing*: holding dialogues, participating in ecumenical events, releasing press releases and photos with the Pope. I’m talking about what engaged lay people and clergy are *thinking*: the books they’re reading, the websites they frequent, the discussions they have with fellow Orthodox believers and priests, the things they are taught in catechism classes, etc. In the arenas I am talking about, which are far more important, “purist” *thought* is completely dominant, and has been for at least 25 years. It’s been dominant in the volume and quality of its literary output, and in its ability to set the terms of discussion — and thereby the popular conception of the problem and, more often than not, its correct answer. I know a lot of priests (well over 200) in many jurisdictions, and I seriously doubt if more than 2 or 3 could give a compelling explanation why we Orthodox do what we do. At best, they might say it’s just a matter of being obedient to one’s bishop, or perhaps it’s an example of economia. Obviously, neither answer is even remotely satisfactory to anyone concerned with faithfulness to Holy Tradition. But that’s all that’s out there. Hardly anyone has read beyond The Rudder, so they have no idea how St. Theodore the Studite or the earlier canonical tradition before St. Theodore understood St. Basil’s first canonical epistle. The entire mental landscape in recent years has been set on purist terms. That’s why I quoted a few sources in the original article that people might not have paid attention to, but which are certainly little hints that perhaps not all is as the current narrative might suggest. I would venture to say that a lot of people who read the article can’t even see its very mild point, since their conception is so dominated by the “purist” apologetics they’ve read over the last 20 to 40 years. I even saw someone aver that the Pan-Orthodox Councils in the 17th century simply could not have said what they did in the quotes, since to do so would evince Vatican II-style thinking!! That’s how little our one-sided discourse has helped us understand. As to your other points: I agree with what you said about the “Relations” document itself — but, again, that’s not the level I’m thinking of, and also actually just further evidence of the weak engagement that has characterized Orthodox thinking on these topics since the 60s. I also agree that there are ecumenists who are idealists or naive. As I said in another comment below, such people are probably better called latitudinarians, and are not actually what I have in mind when I speak of “realists,” since all of the “realists” I quoted are concerned with explaining Church Tradition. Thanks for the long comment. Your point about what the Faithful are thinking/reading on the grassroots level is very important – I hear ya. Perhaps I have had an atypical experience. I have been Orthodox for about 20 years, and a member of 6 different parishes of 4 “jurisdictions” in the USA during that time (work and school moved us around a bit). Of those 6 different parishes 5 of the priests were converts themselves. I can think of only 1 priest who could reasonably be termed “purist”, the rest were “realists” except one who fell mostly into a “latitudinarian” position. The majority could articulate the realist position with enough rigor that they convinced me that they had a real understanding (not a “my bishop says”) along the line you describe. Again, it is just my experience – perhaps it truly is atypical. As far as what the average standing next to me believes and is reading, based on conversations/observation I would say the majority of them are in fact latitudinarian. This is no surprise, given that they swim in the secular/modernist cultural soup that we all do (and our hearts are hardly converted). Sure, there is the occasional purist (some of the m have even visited http://www.orthodoxinfo.com, most have not) but I would conservatively put them at 1 in 10, and even this is probably too many. The fact of the larger secular/modernist spirit/mind of the “average” parishioner strikes me as the far greater concern/problem than any more specific application – in this context “relations” or “ecumenism”. One has to walk before learning to run and all that. In any case the differences between our perceptions is significant enough that one or both of us has to be (somewhat wildly) off base. Not sure how the truth of the matter could be reasonably ascertained. I am willing (based on admittedly limited data) to project my a experience to being *generally* applicable to the whole NA Orthodox scene, granting some differences regionally (say between the “cradle” NE and the “convert” South and South West). Even on the internet (where as you point out the “purist” position is well articulated and well represented) I would describe it as much more balanced by the “realist” position (not nearly as well articulated as you point out) than you see. As I asked you in an above comment, I wonder if the theological ground of the vast majority of the heterodox (I would not exclude the RC in this) has not shifted into a “development of doctrine” spirit to such a point that the earlier realist position you describe can not longer be rightly applied – not because of any internal error/weakness but because of the ontology/spirit of the heterodox themselves. Perhaps it is the exceptions to this spirit that we see on the individual, familial (and perhaps occasionally even on the parish level) that explain the local experience and facts of “Faithful outside the canonical bounds” but these are sort of exceptions that prove the rule (so to speak) in my estimation. As is often the case the comments have proved critical to flushing out the theme of the original article! -Metropolitan Seraphim of Piraeus has acceptable several former Non-Chalcedonians into the Church through Chrismation as opposed to Baptism. -Dr. Demetrios Tsellengidis, Professor of Dogmatics at the Aristotelian University of Thessaloniki has stated we Orthodox Christians have the duty to conduct dialogue with the heterodox. -Fr. Theodoros Zisis, retired Professor of Patristics at the Aristotelian University of Thessaloniki who studied theology in Germany and obviously made plenty of use of non-orthodox scholarship in his work said something along the lines of: so let’s read Bultmann and Barth, so that they [the Realists] don’t say that we are ignorant of them. I think it’s critical to get this type of information out there to people new to the Church, to those on the outside and to those inside who depend on their Realist priest for information. Form and Doctrine. The form of Baptism by definition implies triple immersion of the person being baptized and the use of the trinitarian formula. Sprinkling is not baptism, neither the baptism in the name of Jesus. The immersion originally needed a body of living waters, but that was relaxed already in the Didache. According to this most western baptisms done by sprinkling or by pouring are not valid by definition. A different thing are the difference of doctrine, there is the point to talk of Oikonomia or Akribia. The only limit is how severe a heresy is. Mormons, Jehovah Witnesses as well as liberal protestants must always be received by baptism. For Roman Catholics and the church of England there are problems with the form. This only leave us with the Monophysites and Nestorians to be teceived by confession of faith or chrismation. It is a primary characteristic of all negotiations that both sides will have to make one or more concessions if unity is to be achieved. Ecumenists within Orthodoxy have their list of concessions which they are prepared to make in behalf of Orthodoxy. What concessions will be asked of those on the other side? John Henry Cardinal Newman once wrote that “the world and the Church cannot meet without either the world rising or the Church descending; and the world, forsooth, claims necessity and says it cannot rise, and deems the Church unreasonable when she will not descend instead”. To what extent are the ecumenists willing to “lower the bar” to avoid being labeled “unreasonable” (i.e., “fundamentalists” or, now, “purists”)? Mr. Danckaert writes “A deeper analysis of other strengths and weaknesses in these two schools will have to wait,” but I notice that in first pointing out the strength of the Purist position he quickly segues into one of it’s weaknesses. In pointing out the strength of the Realist position he was unable to perform a similar seque into one of their weaknesses. No doubt an unintended oversight. And how long will we have to wait for this “deeper analysis”? I would be interested to know if Ecumenists (Realists) realistically see any weaknesses at all to their position (that the doors cannot be opened fast enough notwithstanding). When I asked to be received into the Orthodox Church there was no negotiating. It was only going to happen on her terms or not at all. If I had only known, and had waited long enough, I could have had Orthodoxy on my terms. Thanks for your comments, Gregory. There are many weaknesses in the “realist” school, especially if one presumes I meant to describe every single position that every single Orthodox person holds. If one (wrongly) presumes I meant to say that everybody holds only one of these two points of view, then one would have to include amongst the “realists” any number of people who are actually doctrinal minimalists, latitudinarians, or whose main motivation is simply to get with the times. In my opinion, no such person is a “realist,” as I defined the school of thought as being concerned with the Church’s real experience, i.e. Her Tradition. Regarding your last point: unfortunately, it reveals you missed the entire point of the article (and the larger debate). Good point if I have it right: Your peace is a dialectic to detail two lines of emphasis. My view is based on my experience IN the church. As a result, I think I’d re-title the two parties somehow, but I’m not quite sure how. One is primarily pastoral and the other more focused on canons, truth, etc. I find it hard to see these as incompatible or necessarily opposing views, but rather two sides of the same truth. My experience with baptisms IN the Church is that they are nothing like those outside, and in the immersion you can really see the dying “old” man in the face of the baptised. Might be he/she is just fighting for air, but faces are so similar to the old man we see in a hospital that it’s remarkable. At least that’s how the eyes have it. For my part, I haven’t as comparison seen a “holy roller” bapstism in the river for that matter – especially in an old South way, but the waters there are rough and not likely blessed with oil and the sign of the cross… so while similarities might exist are not complete, nor can they be seen as the same either. As a convert, I came in through chrismation from the Anglican tradition. Could have happened a 100 different ways and still what mattered wasn’t strictly HOW it did so much that it did. Words to the effect that the annointing of chrismation makes whole that which is not, fills that which is not, completes that which is incomplete, and makes perfect that which is imperfect were sufficient. There’s humility in having less of a deal made over our conversion than might have seemed the case otherwise… as it’s the heart, the repentance and conversion of heart over a lifetime of conversion that matters far more than the day we appear in Church and sign up. Sometimes I wonder that wanting more isn’t just gratifying to our ego… and holding on to the old man we need to let go of. Again, while it may seems slightly off track, I take the regard the Church has for St. Mary of Egypt and her conversion and repentance in the desert over a lifetime as chastening our sense that it is only what we do as the Church and not what Christ does as its head – ( and he often does “it” beyond our walls) that matters. I do not see the Church’s role as strictly laying down rules and would find a notion of this sort as narrowing the definition to speaking the truth, but at the edge of speaking truth without love. It would do us no good to lose the love in truth, part of which involves speaking the truth when the listener is prepared to hear. This joins the two. But the key is that without the pastoral approach of the church, there is no outreach heard or experienced, the Gospel remains unpreached, and we become whitewashed tombs, rather than a people of God. There are as many ways to become a people of God as there are people, and our sacraments begin with adding love to God’s people wherever and however we find them. Our bishops have to see this, and for me the positive for those who went to Crete is that they had an opportunity to see and meet each other and from there we have a beginning where they might hear and speak the truth in love to each other and to all of us as well. Love to see that same meeting with ALL the bishops of the 14 churches and beyond invited… but maybe that’s just me. As a result, I think I’d re-title the two parties somehow, but I’m not quite sure how. One is primarily pastoral and the other more focused on canons, truth, etc. I don’t think I’d categorize them this way, since both sides are trying to make sense of the truth and the canons in a way that is pastorally applicable. The question is how one handles those things. “Purists” are more concerned with a single theory of ecclesiology that then provides an interpretive basis for the canons (for instance, categorizing them into “economia” and “akrivia” even though the canons don’t categorize themselves that way), while “realists” are generally proceeding from the opposite vector, seeing what ecclesiology is discernible from the canons and actual practice of the Church itself. I am sure that my own description would be objectionable to a number of folks, of course. Maximus, I laud you for attempting to go back to the sources. However, I’m afraid the method you’re using isn’t sufficiently nuanced. Those quotes don’t all say the same thing; and are written in drastically different contexts. For instance, the quote from Athanasius is written while he is in Rome attempting to gain back his see in Alexandria. Attempting to disagree with Rome on this point would be political suicide for him; so we can preclude that reading of the text. Another context, however, provides ample justification: Athanasius is trying to explain the complexity of the fallout of Nicea wherein Canon 8 affirms the teaching of Rome and Arles, but Canon 19 appears to depart from it. That is to say, Athanasius is the creator of the criteria of intention. It is not merely sufficient to simply *name* the Trinity, one must also *mean* the Trinity. This the Cathari do, but the Paulinists do not. Again, your citation of Dionysius doesn’t take into account Dionysius’ final position. He did, at the time, attempt to be a mediator between Firmillian/Cyprian and Rome. But he ultimately took the position of Rome, as we know from the Conybeare fragments. Again, Cyril of Jerusalem’s quote doesn’t help Firmillian at all. It turns entirely on who he means when he uses the word “heretics.” Does he include schismatics in this? Or does he just limit it to people who do not receive a Trinitarian baptism (such as Arles states). He doesn’t say directly (though I think context would demand that he follows the recently established canons). However, he does say other things on baptism. First, throughout the lectures he emphasizes the idea of being baptized in the name. Second, he develops a theory of the Holy Spirit as the true minister of baptism: 17.35-36. Likewise, when Clement of Alexandria speaks of heretics, the heretics of his day were precisely those who would later have their baptisms rejected: the gnostics, Marcionites and Montanists. Clement’s rhetoric is targeted particularly against the claims of these groups (he turns their own language against them). Your citations from Firmilian is of course correct, as is the Apostolic Canon. However, these two represent a single local tradition. The Apostolic Canons are not apostolic; a fact recognized even by Trullo when it affirmed the canons – while also promulgating an extension to Constantinople 7 (Trullo 95) which contradicts the Apostolic Canons on this point. It is the Apostolic Canons that borrow from Firmilian, not the other way around. You have also not dealt with several other contemporary writings that are just as important, if not more important: Against Rebaptism (Anonymous; 3rd c.), Dialogue against the Luciferians (Jerome, 4th c.), On Baptism; Against the Donatists (Augustine, 400), etc. I haven’t even mentioned Ambrose, or Cyril, or Maximus, or Photius, or Symeon the New, or Palamas, or Eugenikos: all of whom hem much closer to Augustine and Jerome than to Firmilian. The whole contemporary neo-Cyprianite phenomenon strikes me as essentially gnostic in character. It rearranges the mosaic of the king to a mosaic of the fox by weaving together a novel historical narrative that just simply doesn’t match the historical reality. It does this by ignoring the context and implications of what people said and merely connect some terminological dots between the proof-texts. Thank you for taking the time to respond and attempting to provide me with some correction. I don’t interpret the Saints the way you do, and that’s fine. However, you have gone so far as to place many Orthodox Saints and scholars in the very same category that St. Irenaeus placed the heretical Gnostics of his day. I quoted many of our best contemporary scholars to Seraphim and he told me to go the sources, then I go to the sources and you assert that I (and the scholars that interpret the data in the same way that I do despite their Augustinian praxis) are either ill-informed and/or gnostic. My goodness! Even if you disagree with my reading, that’s pretty offensive and you likely don’t even speak in that manner to the heterodox. That’s a trend that I frequently notice in those that who lean toward the liberal side of the theological divide. My interpretation: Generally speaking, the Eastern Fathers and the Greek Church of recent times held a view closer to St Cyprian. My interpretation: Augustinian sacramentology was never fully accepted by the Church because it is an understanding not fully in accord with our Tradition. Archimandrite Placide Deseille: Since the third century two customs have co-existed in the Church for the reception of heterodox Christians: reception by the imposition of hands (or, by chrismation), and repetition of the baptismal rite already received in heterodoxy. Rome accepted only the laying on of hands and strongly condemned the repetition of baptism of heretics. The Churches of Africa and Asia, on the other hand, held on to the second practice, the most ardent defenders of which were Saints Cyprian of Carthage and Firmilian of Caesarea. The latter two insisted on the bond that exists between the sacraments and the Church. For them, a minister who had separated himself from the Church’s profession of faith had separated himself at the same time from Church herself, and so could no longer administer her sacraments. My interpretation: Yet again, another scholar holds that Cyprianism was more prevalent in the East. St Basil agreed with St Cyprian. My interpretation: Again, St Basil agrees with St. Cyprian while simultaneously allowing for local variations… Archimandrite Ambrose held to Augustinian understanding, but he interprets St Basil as being in the Cyprianic camp. The ROCOR canonist Dcn. A. Psarev is also of the same mind. My interpretation: Augustinian sacramentology was virtually unknown, and therefore NOT received by the ancient Easterners or the Fathers of the Byzantine period. “Neo-Cyprianism/gnosticism” seems to have strongly influenced the whole Eastern Church; have they not read Sts Jerome and Augustine? The obvious answer is: “no”. Your assertions remind me of a statement made in reference to the Latins by + Gennadios Scholarios: “we believe in the Church; they in Augustine and Jerome.” I won’t even bother to mention the supposed gnostic views of scholarly Saints like St John of Shanghai and St Justin of Celije. You even brought up my patron St. Maximus, but what was his view of Non-Chalcedonian bishops? “I remember when I was staying in the island of Crete, that I heard from certain FALSE bishops of the Severan party, who disputed with me, that ‘we do not say, in accordance with The Tome of Leo, that there are two energies in Christ…”(Opuscule 3) And what did he say about the Monothelites in positions of authority in the Church even prior to their condemnation at the Sixth Council? : “They have repeatedly excommunicated themselves from the Church and are completely unstable in the faith. Additionally, they have been CUT OFF and STRIPPED of priesthood by the local council held at Rome. What Mysteries, then, can they perform? And what spirit descends on those whom they ordain?” (Life of St Maximus) You would likely respond to his queries thusly: “They can perform the Mysteries of the one true Church by the power Holy Spirit!” But does it really sound like St Maximus believes that heretics have the mysteriological grace? We’ll just agree to disagree, and if the purists are Gnostics then I stand in great company. Personally, I believe that realists and purists can and have coexisted in the Church. This is very well put. Not to mention the implicit montanism of affirming Mt. Athos as the great exemplar and bastion of Orthodox tradition on this note. . . as if the monastic republic constitutes some sort of infallible magisterium on the matter. Not saying their witness should be ignored. But, really – gerontolatry is not the answer to the modern Orthodox epistemological crisis. It always strikes me that the authority given by our Lord of binding and loosing, is not mentioned in discussions on this topic. Based on the above and other statements of the elder I think that rather than assigning him to the Realist side, a recognition of both Realist and Purist attributes in him would be closer to the truth. Thank you for your considered thoughts. From a couple comments, it seemed that you did not think the practice and theory of economia sufficient to explain the differences within the history of the Church. Could you say more about this? Perhaps I have misunderstood economia, but I’ve thought it a helpful way of recognizing that differences in reception exist in the history of the Church, that one way is not necessarily the “right” way, but that sometimes, for instance, it is better to receive a convert by baptism, sometimes by chrismation, and at other times by confession. A difficulty I see with economia is that it could appear to relativize canons on the reception of converts; or, at least, it does not explain how the formation of such canons was possible. Is this where you see problems with economia? The only major problem I have had with the Orthodox church has been certain encounters with triumphalist purists- who come across so harshly as to push people away from deeper connection and learning about the Orthodox church. and that has bothered me for over 26 years since I first encountered the church. In one case, I visited an orthodox monastery and all the brothers were very kind and welcoming at first. But once they learned I was Anglican (even though I was still on the journey toward Orthodoxy- which they didnt take time to find out), they all left me standing alone in the room. Anyway, I just wanted to say thank you. This has helped me reconcile things I have felt in my heart but didnt have the words or references for. Such as St Cyprian and St Basil.